We must be dreaming. We are sitting here sipping hibiscus margaritas—a tangy and refreshing cocktail from one of our favorite bloggers, Christine Carlson—and are overwhelmed with excitement. In just a few days, we are taking a road trip with Christine up to Napa Valley to spend the week with a talented group of food bloggers from all over the United States and Canada (links below), hosted by the brilliant Teri Turner of No Crumbs Left. 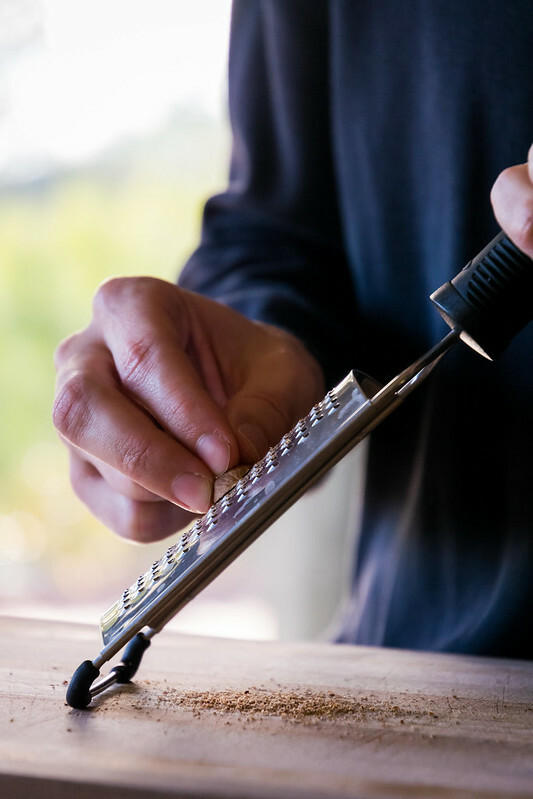 Aside from enjoying massive amounts of locally-made wine, we will be cooking together, collaborating on recipes, sampling Napa’s award-winning restaurants, visiting picturesque wineries, and attending a lecture by renowned photographer George Lange. Our adventures will be well-documented on our Instagram story, so join us as we eat and drink allll the wine in Napa. But before we head north, we want to leave you with a sweet and comforting treat to keep you warm and cozy all season long. 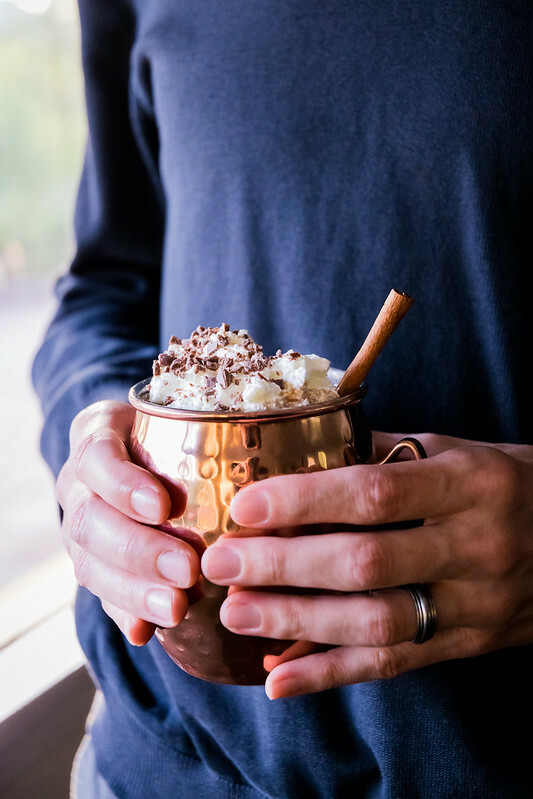 Meet your new winter remedy, and welcome gingerbread hot chocolate to your life. You will never be chilly again. It took us four tries to perfect this soothing sipper, but we didn’t give up until it tasted just like homemade gingerbread cookies. After a few attempts to get the gingerbread and chocolate combination just right, we finally succeeded, and it was worth every second of our chocolate-devoted efforts. 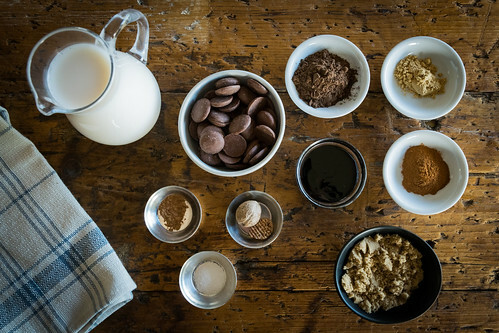 Here, warm milk is simmered gently on the stove with brown sugar, cinnamon, ginger, molasses, freshly ground nutmeg, cocoa, allspice, and sweetened with a heaping spoonful of chopped milk chocolate to make it extra creamy. Topped with a cloud of whipped cream and a cinnamon stick, it will be difficult to ever have a regular cup of hot chocolate again. Making this is as easy as a cup of hot cocoa. You just chop a little chocolate, stir it with the milk and spices, heat it up on the stove, and you’re minutes away from hot chocolate heaven. Watch your family’s faces light up when you surprise them at breakfast with steaming mugs filled with the flavor of their favorite holiday cookies. Bring it on, winter, we are ready for you! Follow along on our Instagram stories this week in Napa, and check out the bloggers below that will be there with us! In a small saucepan, combine all the ingredients except the chopped milk chocolate, reserving that for later. Place the pan over medium high heat, and whisk to combine, breaking up any clumps. As the mixture gets hot, turn the heat down low to keep the mixture just under a simmer, whisking occasionally. 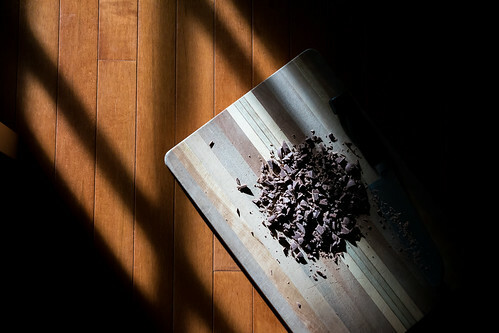 Add the chopped milk chocolate and whisk to combine. Remove from heat, let cool briefly, then serve into mugs topped with whipped cream, chopped milk chocolate, and a cinnamon stick if desired. Enjoy! 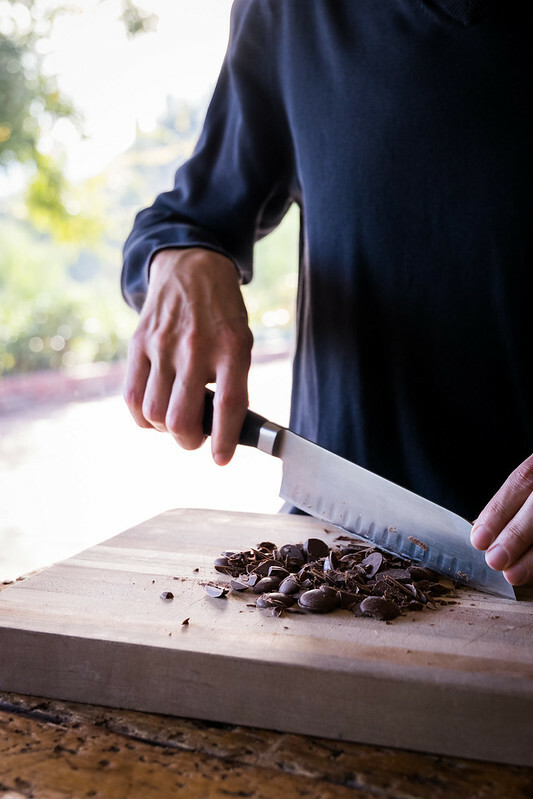 — Dutch process cocoa is extra-dark, and has a smoother, mellower flavor than regular cocoa. They are usually sold next to each other at grocery stores, but if you cannot find dutched cocoa, substitute regular cocoa. — To make this vegan, use a non-dairy milk and a vegan chocolate. You are the best you guys! 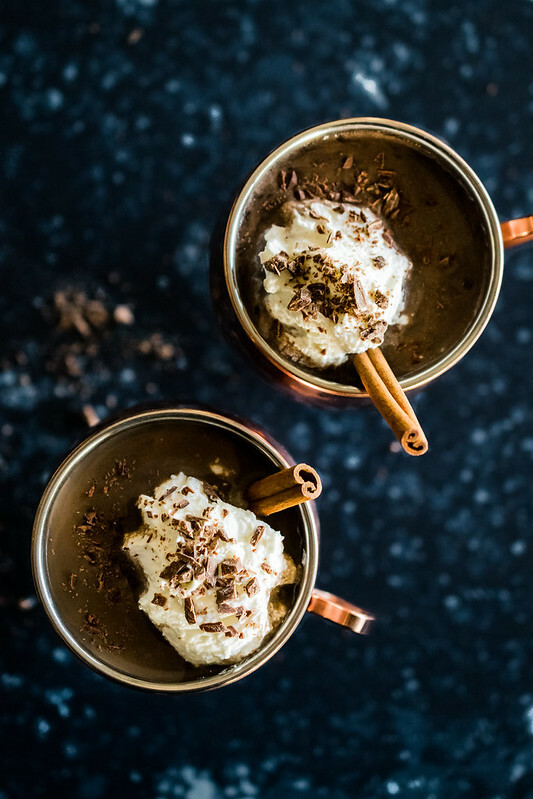 I’m so glad you enjoyed the margaritas and I absolutely love these hot chocolare photos! I need gingerbread hot chocolate in my life! So excited for Napa!! Oh my goodness, does this sound good!! A gingerbread cookie in hot cocoa form? Count me in please! Your photos are making me wish I had one of those yummy mugs of my own! I hope you have a wonderful time in Napa! Sounds so fun! Thanks so much Mary Ann! It’s so warm and comforting, even though the weather here is pretty mild… In a truly cold climate it would be even more cozy! This recipe sounds amazing!! Have a great time in Napa! I will follow you guys. Thanks so much Carlos! This will be our first time visiting Napa together, and we can’t wait! Look forward to having you on our trip with us! Happy to find you ! have a happy and prosperous 2017 !